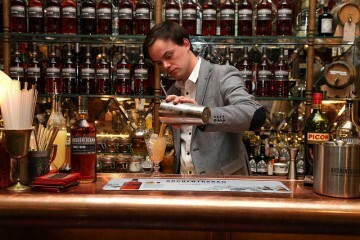 It starts with the Auchentoshan Switch UK final at Village Underground with a host of top bar talent battling it out for first prize. Little wonder really. The winner will spend 14 days working in Apotheke, one of the coolest bars in New York, while the US counterpart will tend bar at one of our faves, 69 Colebrooke Row. From there it’s straight on to the opening of Shaker & Company, the New Orleans-inspired bar from the Shaker Consultancy crew. Having trained everyone from l’il old us to Erik Lorincz and catered for a host of chi-chi parties including Cartier Polo and Tatler, this is the first time the team have operated an out-and-out consumer bar. Expect top quality drinks from star students, a great selection of soul food and a Tasting Room downstairs. And in between that lot we’ll be popping along to the launch of Gin O’ Clock, the brand new book from Her Madge – no not that one, we’re referring to the hilarious Queen of Twitter. Her book of gin-based ramblings is out just in time for Christmas stocking fillers and the party is hosted by Bombay Sapphire. 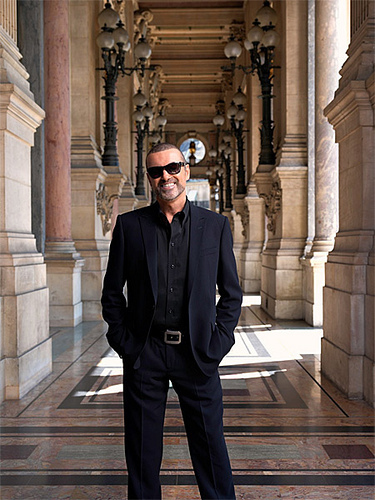 Tuesday will be cocktails at home before heading along to Royal Albert Hall for the first of George Michael’s Symphonica London shows. Call us pop tarts if you like but we can’t wait. On Wednesday Ms S will be getting the girls round for Cointreau Rendez-Vous Prive, an evening of glamour and cocktails. The best bit is, she doesn’t have to get her hands dirty as a barman turns up armed with all the ingredients needed to create four Cointreau cocktails for each of her guests and they even get goody bags to take home. Bliss! As for the rest of the week, we’ll be compiling our Desert Island Discs for a stint at L.T.D. at The Social next Tuesday (we’d love you to join us – details here) as well as getting out and about reviewing. Like we said, hardly a week goes by without a new bar opening in London. It’s time we caught up. Shaker & Company, 119 Hampstead Road, NW1 3EE. T: 020 7387 5474. shakerandcompany.com.